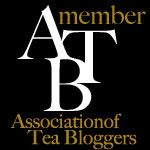 The creator of RateTea writes about tea, business, sustainability, herbs, culture, ecology, and more. I live in a climate relatively far from where the tea plant is commercially grown, in a region where it can only be grown as a peculiar, delicate garden specimen, in highly sheltered areas. I've heard that there are a few specimens of tea plants growing around Philadelphia and Delaware, but I have yet to see one. 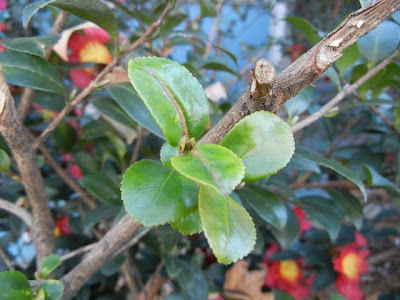 However, I recently stumbled across a more cold-hardy camellia, and I wanted to highlight it both because it is a beautiful and somewhat unusual plant, and also because it sheds some interesting light on the tea plant and on how the relationships between different plants in the same genus tend to work. 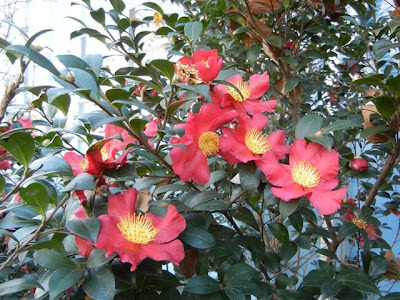 The plant pictured here in this post is the Christmas camellia, scientific name Camellia sasanqua, placing it in the same genus as the tea plant. This plant is about as closely related to the tea plant as a crabapple is to a commercial apple, or about as close as cabbage is related to mustard. Plants in the same genus but different species can sometimes (but not always) hybridize, and usually share certain major similarities, but they can also have major differences (Bunchberry, a tiny plant growing on the forest floor in cold climates, is in the same genus as dogwood trees). The Christmas Camellia is so named because it tends to bloom around Christmas time...very unusual as there are very few flowers blooming at this time, let alone ones as showy as this one. I am quite curious what the natural pollinators of this plant are, as insects tend not to be active in cold weather, and most bird pollinators have departed from temperate climates by this point in time. This plant is not native to North America, and I would have mixed feelings about planting it. It's beautiful and offers a unique landscaping opportunity with the timing of its blooming, but I usually recommend avoiding the use of non-native plants for landscaping. This is certainly not an invasive species though; it is hardier than the tea plant but still a bit of a stretch for gardeners in the Philadelphia area. This plant is thriving, but it is in a city, in a sheltered location, planted close to a building and surrounded by other broadleaf evergreens. However, I will note that there are cases of other broadleaf evergreen plants escaping and becoming invasive species, including English ivy and privet (which becomes semi-evergreen in areas as cold as Pennsylvania). Both of these plants have adapted to a colder climate than their native habitat and have become a problem, choking out native plants in wild ecosystems in eastern North America. I want to conclude this post with one final note about this plant, another point of similarity between this plant and the tea plant. Its blooms smell very similar to some of the floral qualities in greener oolong teas like Qi Lan or Tie Guan Yin. I'm quite curious if this plant could be used to produce a tea-like infusion. I've been wondering about this for a long time; see my old post other camellias for tea, in which I mention this species. One point which I find compelling as a reason for pursuing herbal teas made from other camellias than the tea plant is that they are naturally caffeine-free, which might make them attractive to some people. I may try seeing if I can produce some sort of tasty infusion from this plant at some point. However, given that I'm no expert in tea processing, and that this plant has been cultivated primarily for its blooms, it seems like it may be a bit of a stretch to produce something that would actually taste good. I'll keep you updated if I undertake any project like this, which may need to wait till the spring. 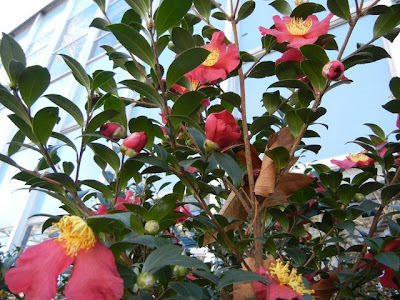 Have you ever grown this plant, or other camellias? Have you ever tried making a tea-like herbal infusion out of this plant, or any others? I tried growing tea camellia (sinensis) of several varietals from seed, but my cats ate them. Apparently young tea shoots taste good to felines! At the state botanical gardens in Athens they have a hedge of sinensis of some small leaf varietal, and I'm very tempted to visit in March and harvest. I've been thinking of growing a tea plant indoors...I currently have a coffee plant, which is barely hanging on for dear life. I really have no idea how easy the tea plant would be to grow indoors. I'd imagine that it'd be more drought-tolerant than the coffee, I don't know if it'll require more light though. I also imagine the yield of harvestable leaf would not be particularly high! My current apartment has some big west-facing windows, but with the opposite building it only gets about 3 hours of direct sunlight per day in winter. I've also thought of locating some tea plants growing in botanical gardens and see if I can harvest enough of the leaf to make a few cups worth of tea. I'd be really curious to hear your results if you ever go through with this! Where did you find the caffeine content of other tea species? One blogger I found online made tea from C.japonica and noted that it did have caffeine, maybe more then C. sinensis (they were up all night). That's interesting...I wrote this post a long time ago and I don't recall where I found that information. I assume you're referencing this post. However, this post isn't exactly scientific--there are many different factors (both chemical factors in the leaf / brew and other circumstantial factors) that could keep a person awake as described. I'd be interested to revisit this...maybe do a bit more research when I have more time!